Ply Lining your vehicle primarily serves a dual purpose – helping to protect the load you are carrying and preventing damage to your vehicle in carrying / transporting that load. Having your vehicle Ply Lined increases the durability and usability of your vehicle by preventing wear and tear to your interior which, in-turn helps to protect your van’s appearance, thus increasing the resale value of your vehicle. Key Automotive Solutions provide full ply lining services to our customers throughout the Doncaster areas. 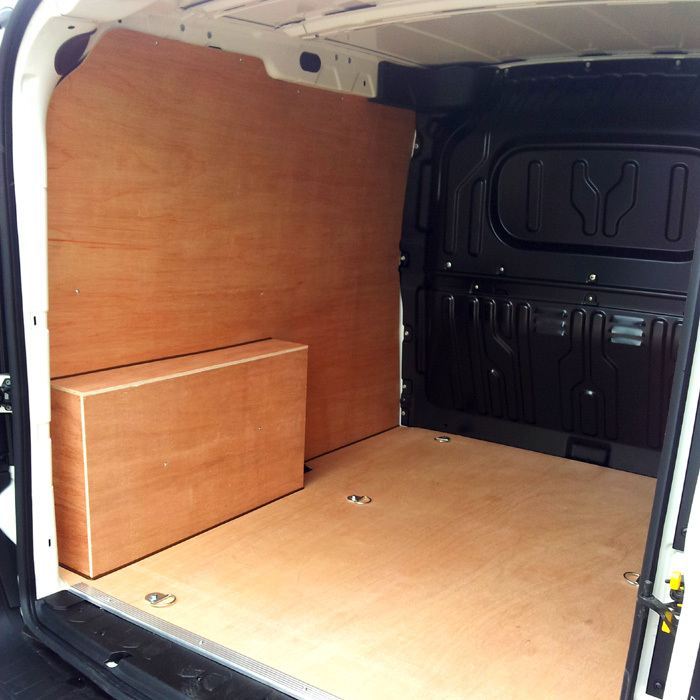 We can also supply kits and made to measure / bespoke ply-lining services to any van / vehicle. Protect your van and increase the resale value of your vehicle with professional ply lining services from Key Automotive Solutions in Doncaster. Top quality installations and customer services guaranteed. We also supply pre-cut kits for self installation and supply no-slip wizerdeck floor lining products. Associated Ply Line services includes raised floors and integrated shelving and racking systems to help you achieve the most usability from having your vehicle ply lined. Polypropolene Lining Kits – Looking for alternative van protection? Not a problem – we offer Polypropolene van lining kits – just enquire for full details. In addition to this we can provide spray on van protection. When you need a tough, durable protection for your van, yet the gentlest of treatment for your cargo, you can rely on LINE-X Spary-on linings. It becomes an intrinsic part of vehicle care and the UK market can now get the very best protection from LINE-X.